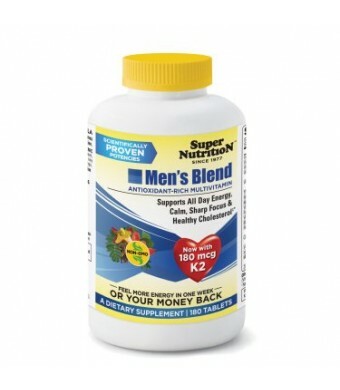 Men's blend: nourishes the entire body. 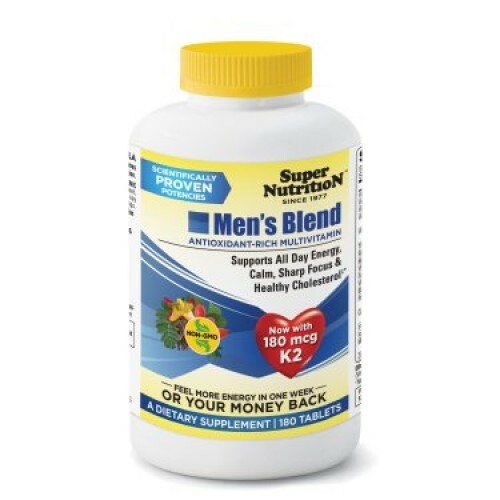 Ideal for adults and teens who live an active lifestyle and need plenty of all-day energy. Maximum personal wellness, a robust b-complex formula for calm, all-day energy, antioxidant rich for immune support-1,250 mg vitamin c, 400 iu vitamin e and 250 mcg selenium, optimal heart health support-1,000 mcg folic acid, 400 iu vitamin e, plus 100 mg vitamin b6, 200 mcg vitamin b12 and 45 mcg vitamin k2 (mk-7), optimum immune support with 3000 iu vitamin d3, also available iron-free, 6 tablets/day for optimal potency.